News that Environment and Climate Change Canada is considering “priority threat management” to assess endangered species is troubling. The method is often used to inform a “triage” approach in which some species are abandoned to focus resources on others ranked higher priority. The federal government is legally required to oversee recovery of all species at risk, not just those it chooses to prioritize. It makes sense to model recovery measures at an ecosystem scale and forecast budgets accordingly, in part to determine the most cost-effective ways to advance recovery efforts. But economic models shouldn’t be used to determine that it’s “too expensive” to save some species. The decision about whether or not to manage landscapes to recover imperilled wildlife is, ultimately, not economic but societal; it reflects the values that we, the public, embrace, and to which we hold our elected officials accountable. We need to be clear that if we let a species go, it’s because we’re choosing other values over its survival. Many things can’t feed into an economic model, including wildlife’s intrinsic value and the cultural worth of a species to Indigenous Peoples. It’s also difficult to conceive how a model can take into account the complex relationships between species when we still don’t fully understand those relationships. It’s hubris to decide that we can afford to protect prey but not its predators, when we still know so little about how predator-prey relationships influence a landscape. What if a species that doesn’t make the cost-effective recovery list is an umbrella species, such as caribou, which safeguards less-studied species with which it shares habitat? What if a species we think is too costly to save proves to be an ecosystem linchpin? One thing is certain: We don’t fully comprehend the components of ecosystem functionality, so we don’t know what we lose when we lose a species. Research shows, though, that biodiversity and ecosystem resilience are connected. The model underpinning priority threat management involves estimating the probability of recovery despite the fact that the science is so new that we don’t yet know what measures work for many, if not most, species at risk. It also assumes that resources are constrained but doesn’t take into account government investments in industry or the billions of dollars in royalties and profits that provinces and industries have raked in and continue to rake in through activities that destroy habitat species need to survive. Recent articles on the triage approach note it is getting “huge buy-in” from industry. This isn’t surprising. It provides a perverse incentive to industrial players that drive species to the point at which they are deemed “too costly” to save. If species are abandoned, so are requirements for habitat protection and restoration that many industries see as limiting to their bottom line. Society needs transparent, explicit decision-making around how public money is spent to reduce risk to species. Yet the main challenge for species recovery in Canada is far greater than the need for tools to prioritize limited funds. In essence, it’s our failure to put sufficient limits on human activity and prioritize wildlife persistence over status quo business operations. We have tough choices, including how to make decisions about the future of wildlife in Canada. Will we call for limits on how much humans can encroach on the space wildlife needs to survive? Will we hold those who profit from habitat destruction accountable for its protection and restoration? Will we use existing science and traditional knowledge to ensure our landscape management policies sustain the ecosystems that support natural processes, wildlife and humans alike? It’s up to all of us to decide. 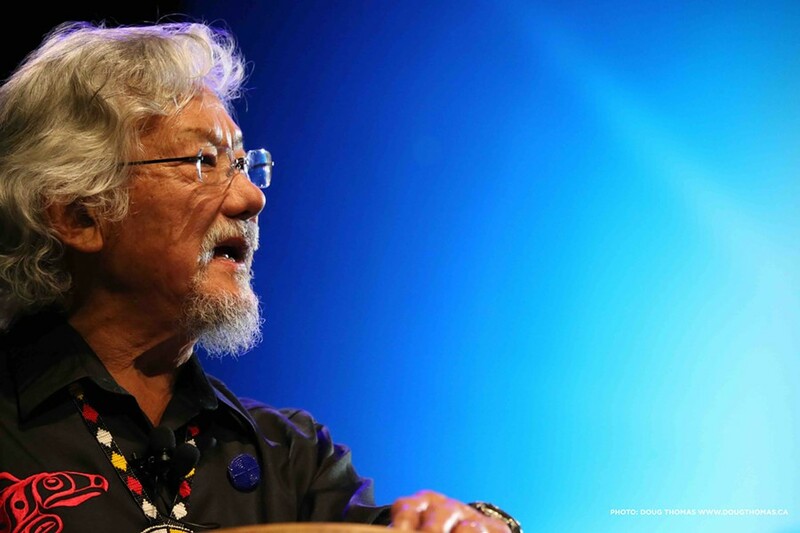 Science Matters is a weekly column on issues related to science and the environment from David Suzuki, written with contributions from David Suzuki Foundation Ontario science projects manager Rachel Plotkin. Learn more at davidsuzuki.org.